We offer expert services for Roof Cleaning in Bicester. The climate in Bicester and surrounding areas lends itself to encouraging the growth of moss, fungi, algae and lichens all of which can thrive on roofs. Roofs can also collect dirt and become stained from other air bound pollutants particularly when close to busy roads. 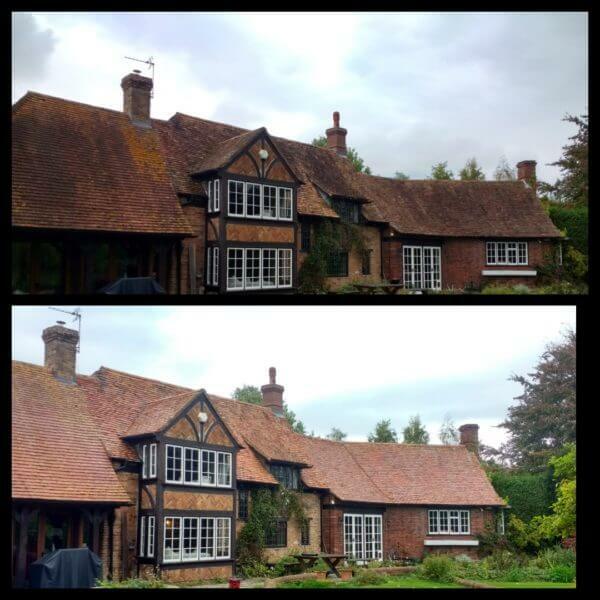 Roof cleaning in Bicester can make a world of difference to the appearance of your property. When properly cleaned and maintained the roof of your property can be restored to a near new finish, tiles can be restored to their original colour, giving your building a new lease of life. 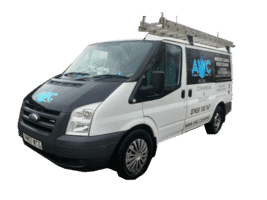 We understand that every roof in Bicester we clean will have different requirements and are able to employ a variety of techniques that tackle all cleaning needs. 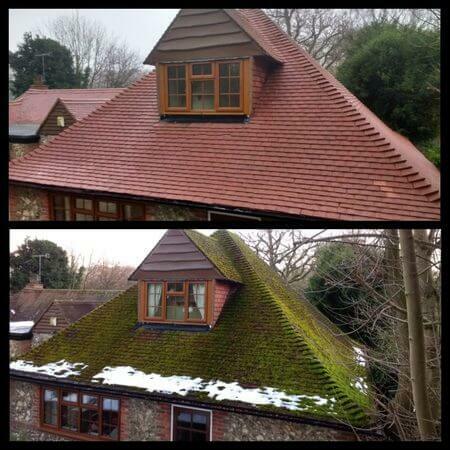 We have an article here on how we clean moss from a roof. Our knowledge and experience mean that we can properly assess and advise on the best and most appropriate methods for cleaning your roof cleaning in Bicester. We also clean roofs in the south of England including areas such as Aylesbury, Berkhamsted, Watford, Oxford, London, Hemel Hempstead, High Wycombe, Milton Keynes, St Albans, Bicester, Bedford, Northampton, Thame, Marlow, Reading, Hitchin and many more.